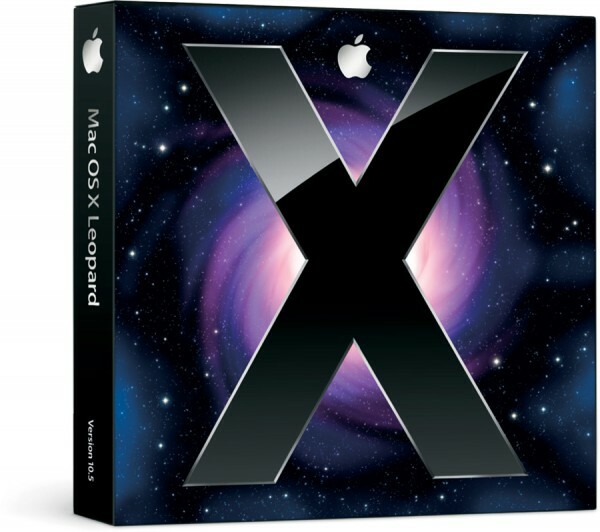 Yesterday, Apple announced that the final release of the Mac OS X series, Leopard, will go on sale on Friday October 26th 2007. OS X Leopard has over 300 new features including desktop Stacks, a newly designed finder, QuickLook, Spaces, and Time Machine. Just to go over some of the features, we’re going to start with Stacks. Stacks allows accessing and placing files right onto the new 3D dock to keep the desktop clean. With one click, the Stack will spread out cleanly, displaying all the files in it. The finder now borrows a neat feature from iTunes, Cover Flow. 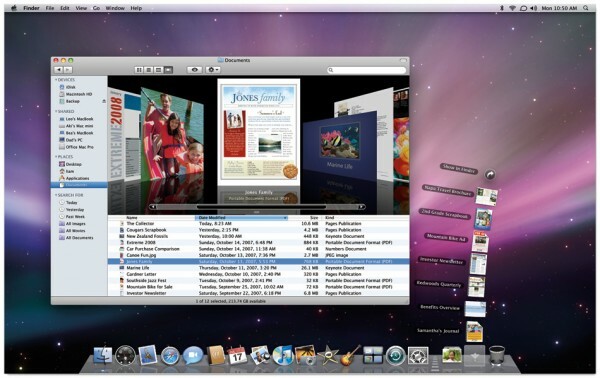 In addition, once setup, Mac users can easily search, browse, copy, and transfer files between any other Mac or even a Vista machine. Another feature which will save a lot of time is Quick Look. This pre-installed application will allow fully viewing any image, pdf, or document and even watching or listening to music or videos without having to startup the associated application. This means you can instantly open up a Word Document to read without having to startup Word. However if you wish to modify or edit the file, you will have to open the actual program. If you have used Linux, you probably know that most distributions allow creating multiple virtual desktops. Spaces does just the same thing for Macs, except now it is much more interactive as well as powerful. You can now do neat things such as drag a window from one virtual desktop to another. Although there are ton of more neat features, the final important feature we’ll touch on is Time Machine. This application is a built-in backup tool which allows visually browsing your backups. Instead of having to an entire system restore, Time Machine will allow searching or browsing through your archives to bring the file you wanted “back to the future.” The more hard drive space you offer Time Machine, the better of a job it can do creating more detailed backups. As mentioned it will be available on the 26th of October at 6:00pm for $129 (single license). Apple is already accepting pre-orders through their online store. If you happened to purchase a new Mac after October 1st, Apple will include the upgrade for just $10 (shipping charge). i believe boot camp is going to be 100% ready too right?